For some reason I’ve been feeling really self conscious about my alphabet book. Step one, do all the letters. Step TWO refine, redraw, renew and come up with better ideas. 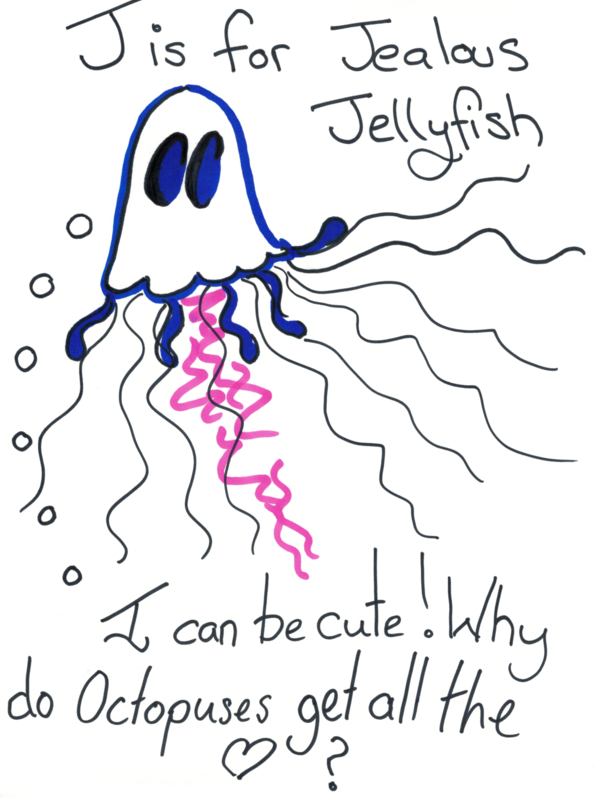 Jellyfish thought: I can be cute! Why do Octopuses get all the love?